“I know we’ve just gotten started, but they used to live here and I just have to say hello.” Ruth Fox waves excitedly across the Seattle House lobby to a mother and a young girl, and they both come running over. Ruth and the mom catch up and marvel at how much the girl has grown. After a few minutes, the girl tugs on her mom’s hand: she’s anxious to see what has changed at the House since they moved back to their own home. “I love it when families come back to visit,” says Ruth, watching them wander off into the House. Ruth normally works three front desk shifts every weekend; she’ll occasionally also pick up an evening shift during the week. Over time, Ruth has taken on more duties related to the front desk, like training new volunteers and managing the volunteer schedule. Since she knows all of the volunteers and is such a big part of keeping the front desk running smoothly, some of the other front desk volunteers have jokingly started to call her Mom. She admits (a little sheepishly) that a few of them even signed a Mother’s Day card for her this year. We’re always looking for new front desk volunteers! 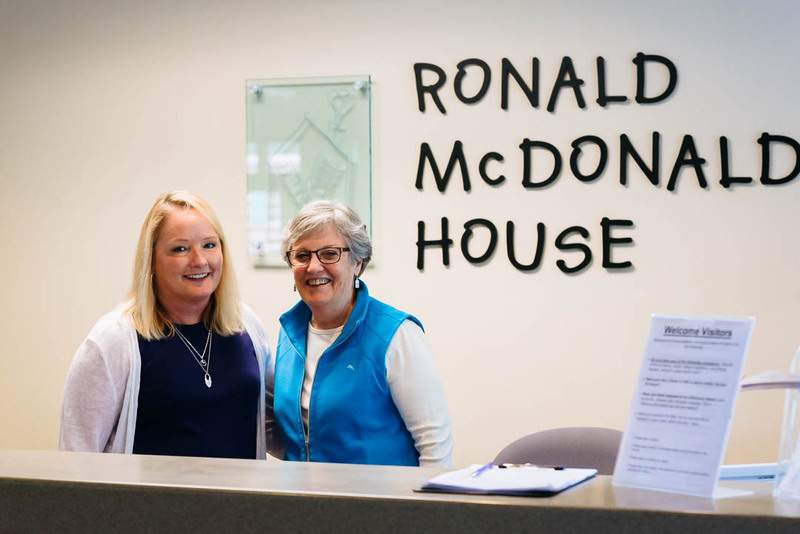 If you’re interested in volunteering with Ruth at the front desk, or in other opportunities at the House, please click here to check out our Volunteer page.